The Mayfield Singers is a small chamber choir that is based in Orkney, a group of islands to the north of Scotland. It was founded in 1988 by Neil Price for the purpose of performing any choral music for a choir of such a size that would challenge and stretch its abilities. Although the aim is to achieve high standards, the choir is run informally, never losing sight of the fact that its main purpose is to provide recreation for its members . The choir performs frequently throughout Orkney and especially in St Magnus Cathedral, a magnificent building constructed by the Vikings in 1137. The choir has been very involved in the twinning links between Orkney and Hordaland (the Norwegian county in which the city of Bergen is situated). It has toured Norway on four occasions, including a visit in 1997 when they took part in the millennium celebrations of the city of Trondheim. During the Sunday morning Eucharist in Nidaros Cathedral, they premièred a new arrangement of a piece made for them by the composer Judith Weir. Many concerts have been given in Hordaland, venues including the Mariakirken and Domkirken in Bergen and Grieg’s home at Troldhaugen. Particularly strong links have been made with the islands of Stord and Sotra. 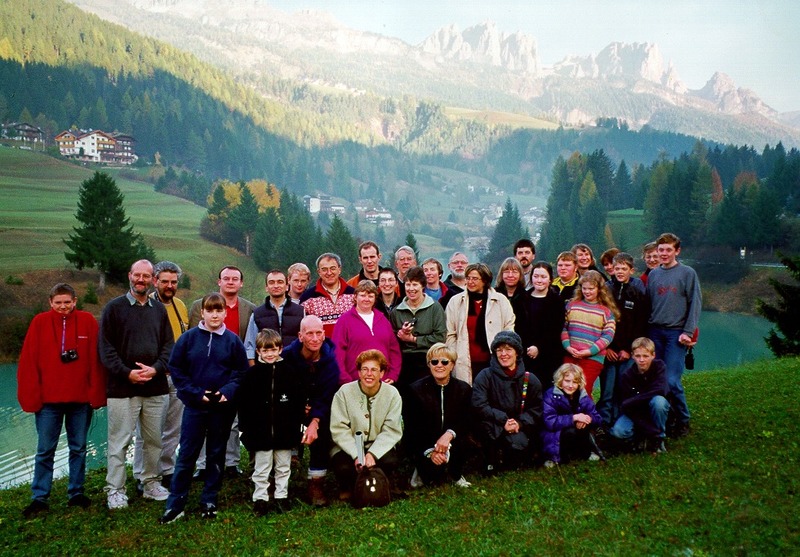 In October 2000, the Mayfield Singers had the great pleasure of helping to forge links with another community with which Orkney has particularly close ties, that of Moena in the Italian Dolomites. Moena was the home of Domenico Chiocchetti, the creator of Orkney’s Italian Chapel, who died in 1999, and it is still the home of his widow and family. The choir travelled there, giving several concerts in Germany and Switzerland en route. The five days that the choir spent in the Dolomites were marked by the warmth of the friendship that is growing between the two communities. Concerts were given in the local historic churches. The choir also sang Mass in the Moena church. For this visit, Sir Peter Maxwell Davies (the world-famous composer and Master of the Queen’s Music whose home is in Orkney) wrote a special piece for the choir, “Una Balena Azzurra”, to a text by George Mackay Brown translated into Italian. The church in which this was first sung suffered a subsequent major fire for which the Mayfield Singers held a fund-raising concert in St Magnus Cathedral on 18 May 2005. For this event Sir Peter Maxwell Davies wrote another piece for the choir, “St Bartholomew’s Prayer”. Later in 2005, he wrote another piece “Suscipe Quaesumus” for the choir to sing at the wedding of Lucy Rendall (at whose birth he had composed the well-known “Lullaby for Lucy”). The Mayfield Singers have given performances of Bach’s St John Passion in Orkney, Dunkeld and Pluscarden variously conducted by George McPhee, John Grundy and Neil Price. A joint production of the St Matthew Passion with St Mary’s Music School took place in March 2006, performances being given in Orkney and Edinburgh. In 2008, the choir became a recognised Scottish charity, governed by a Board of Trustees, and in 2009, Neil Price handed over the musical direction of the choir to Denise Stout. More recent concerts have included continued contributions to Orkney’s Christmas Tree Lighting Festivities, Orkney International Science Festival and a concert in 2011 to welcome The Friends of Cathedral Music to Orkney. 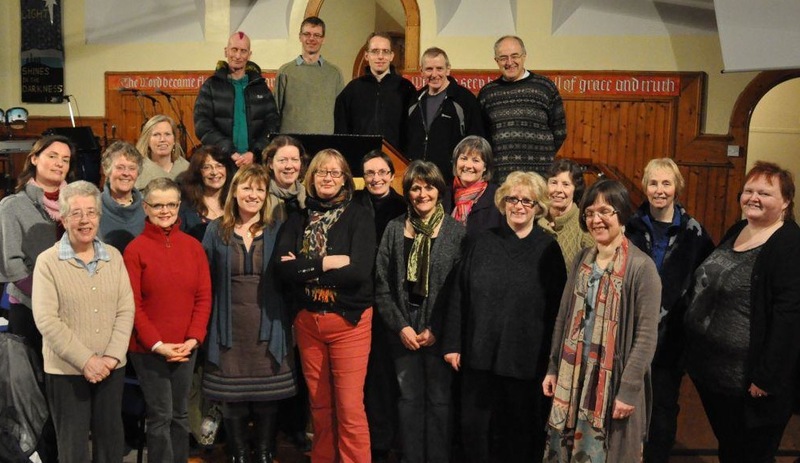 In 2012 the choir was invited to take part in a national event to mark World Heritage Day, “Shadows of our Ancestors”, in which they performed works composed by local composer Gemma McGregor, several members travelling to the site of the Antonine Wall in Croy to perform with creative and performing artists from all over Scotland. They also made a contribution to the St Magnus International Festival, taking part in the “Sounds of the Flow” installation by Pippa Murphy. 2013 marks the Twenty Fifth Anniversary of the founding of the choir and we are pleased and proud to be participating in the St Magnus International Festival, delivering a one hour a cappella concert of our own, including works by Peter Maxwell Davies, Sally Beamish, Judith Bingham, James MacMillan, Stravinsky and a host of contemporary Canadian composers. The choir is always keen to be contacted by enthusiastic and committed singers who may be interested in joining us.